Dr. Rylander is a board certified General Ophthalmologist and eye surgeon with a special interest in retina, glaucoma, and cataract. He has been in practice for over 34 years and is on the staff of seven Texas hospitals. He has performed thousands of cataract surgeries and hundreds of laser procedures through his private ophthalmic practice at the Eye Institute of Austin, Austin, Texas. Dr. Rylander has authored or co-authored more than 125 scholarly articles in the field ophthalmology and biomedical engineering. He holds three patents in the field of ophthalmology. Dr. Rylander attended The University of Texas at Austin where he earned BSEE and MSEE degrees. He received his M.D. from the University of Texas Health Science Center, San Antonio in 1980. Dr. Rylander began his teaching career in 1978 at the University of Texas at Austin as an Adjunct Professor. He is currently a Professor in Biomedical Engineering at the University of Texas at Austin, and has supervised 40 Master of Science students and 15 Ph.D. candidates. 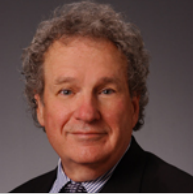 Dr. Rylander has been the University of Texas at Austin, William J. Murray and Harry H. Power Professor since 2002. Dr. Cagle is a longtime industry executive with a broad range of scientific and operational experience gained over the past three decades. Most recently, he served as Senior Vice President of Research and Development and Chief Scientific Officer of Alcon Laboratories, Inc., a subsidiary of Alcon, Inc. Dr. Cagle began his 32-year career at Alcon in 1976 as a senior scientist in Microbiology. He quickly advanced to lead the Product Development organization and was named vice president, Product Development, in 1985. He also served a two-year assignment as the vice president of Regulatory Affairs. Under Dr. Cagle’s leadership, Alcon’s Research & Development group launched over 100 new products and grew to 1,300 employees in 18 countries. At the conclusion of Dr. Cagle’s tenure with Alcon, he was inducted into Alcon’s Hall of Fame, a distinction that recognizes individuals who have made significant contributions to the company. Dr. Cagle received his B.S. degree from Wayland College in Plainview, Texas. He earned both a M.S and a Ph.D. from the University of North Texas in Denton, Texas. He is currently Senior Advisor and Head of Business Development for GrayBug, LLC (Baltimore, Md. ), serves as Chief Operating Officer for Cognoptix (Acton, Mass.) and is a board member for Aerie Pharmaceuticals, Inc., and Clearside Biomedical.